With the recent rapid progress in image processing and three-dimensional (3D) technology, stereoscopic images are visible on television and in theaters and game machines, etc. However, 3D sickness symptoms, such as intoxication and eye fatigue, have been observed when viewing 3D films, depending on display and visual environment conditions. Further, the effect of stereoscopic vision on the human body has not been explored sufficiently. Therefore, to clarify its effects on the human body in society at large, it is important to consider the safety of viewing virtual 3D content. 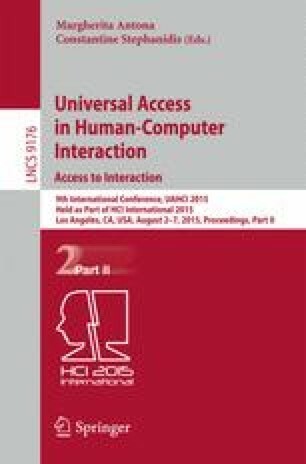 This present study aimed to examine the effects of peripheral viewing on the human body, specifically during exposure to two-dimensional (2D)/3D video clips. We compared stabilograms recorded during exposure to video clips with or without visual pursuit of a 3D object using two-way analysis of variance. Using statistical analysis, we found that our equilibrium is significantly affected by the background after exposure to the video clips. This work was supported in part by the Ministry of Education, Culture, Sports, Science and Technology, Grant-in-Aid for Scientific Research (B) Number 24300046 and (C) Number 26350004.